Pickup From Jaipur Airport / Railway Station / Bus Stand By Placard Carrying Driver And Transfer To Hotel. 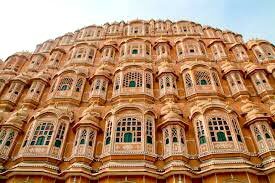 Later Visit To The Fabled Pink City, The Old Jaipur. 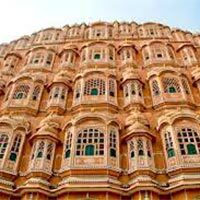 Drive Through The Johari Bazaar To The Hawa Mahal (Palace Of Winds). 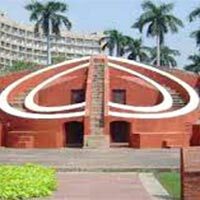 Visit The Various Museums Inside The City Palace And The Ancient Observatory, Jantar Mantar. Pay A Visit To The Govind Deoji Temple, Housing The Patron Deity Of Jaipur. Evening Free For Shopping Or Your Own Activities. Overnight Stay In Jaipur. Depart After An Early Breakfast For Nawa Shekhawati. 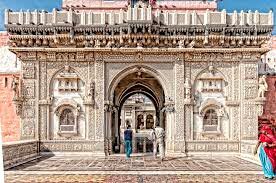 See The Cenotaphs, Stepwells, Beautifully Painted Havelis & Old Streets At Dundlod, Mandawa And Mukundgarh. Proceed For Bikaner After Breakfast Through Fatehpur. 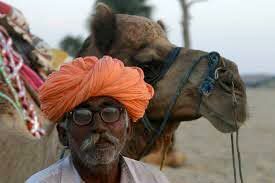 Visit Deshnok Temple And Camel-Breeding Just Before Bikaner. Check-In At Hotel In Bikaner. 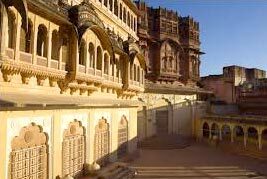 See The Fabulous Junagarh Fort & La1 Palace And Proceed For Jaisalmer. Have Lunch On The Way. 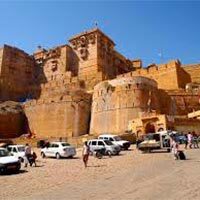 Visit Kheechan On The Way, And Reach Jaisalmer Check-In At Hotel In Jaisalmer. 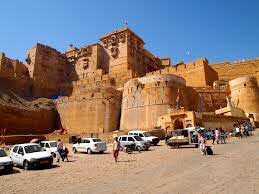 Visit Jaisalmer Fort & Museum After Breakfast. Also See The Jain Temple. Take A Walk Through The Back Streets To The Patwon Ki Haveli & Kothari Haveli. After Lunch Proceed To Kuidhera - An Abandoned Habitation And Then To Sam Sand Dunes. After Early Breakfast, Leave For Jodhpur, The Sun City, Via Pokhran. Lunch Can Be Had At Pokaran And Reach Jodhpur Latest By 3 Pm. 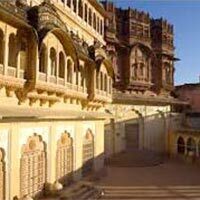 Visit Mehrangarh Fort, Jaswant Thada And Umeed Bhawan (Only From The Outside). Check-In At Hotel In Jodhpur. 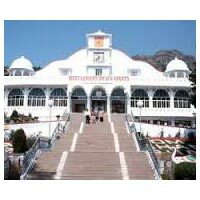 Visit The Dilwara Temples And Brahmakumari Ashrams In The Morning And The Nakki Lake In The Evening. Depart For Udaipur. Check-In At Hotel. After Lunch, Half Day Sightseeing Of Udaipur, Covering The City Palace, Saheliyon Ki Badi And The Lake. Depart For Chittaurgarh. Check-In At Hotel. After Lunch, Visit The Chittaurgarh Fort. After Early Breakfast, Leave For Ajmer. Visit The Dargah & Proceed For Pushkar. Check-In At Hotel. After Lunch, Visit The Barahma Temple, The Holy Lake & Rose Farms. After Breakfast, Leave For Jaipur. 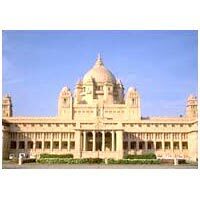 Check-In At Hotel Umaid Bhawan. Visit To Albert Hall Museum & Birla Temple, Sanganer / Bagru (Small Towns Near Jaipur Known For Traditional Block Printing Work). Evening Visit Chokhi Dhani For Rajasthani Traditional Dinner With Dance And Music. Overnight Stay At Hotel. 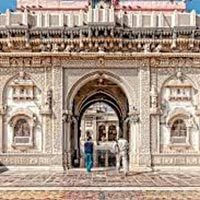 After Breakfast, On The Last Day Of The Trip, Visit The Kanak Vrindavan Temple, Amber Palace Leave For Jaipur And On The Way Visit Fatehpur Sikri And Over Night At Agra. On The Last Day Of The Trip, Visit The Taj Mahal An Agra Fort And In The Afternoon Drive To New Delhi Airport And Tour Ends. 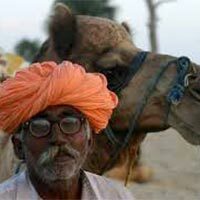 Rajasthan (jodhpur - Jaisalmer) Tour Packa..